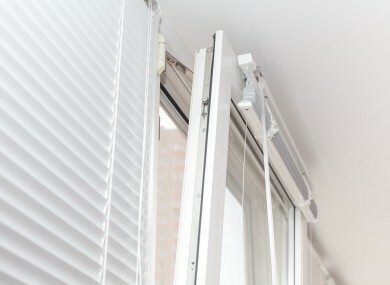 A FIVE-YEAR-OLD GIRL, who dropped 11 feet out of a “faulty” apartment window during what was described as a frightening incident four years ago, has been awarded €46,000 damages in the Circuit Civil Court for personal injuries. Barrister Martin Fitzgerald told the court that in August 2012, Roisin Byrne was 15 months old and was living with her parents, Ronan Byrne and Chloe Murphy, in a temporary one-bedroom flat at Newton Avenue, Blackrock, County Dublin. The court heard that little Roisin had been playing in the room when she fell out of the large Georgian sash window and dropped on an emergency fire casing, fracturing a rib and puncturing a lung. Roisin had been taken to Our Lady’s Children Hospital, Crumlin in Dublin where she had remained for several nights under care management. She had also suffered cuts and bruises to her body. Through her mother Chloe Murphy, Roisin, now of Balbriggan, County Dublin, sued their former landlord Enda Woods for negligence. Circuit Court President, Mr Justice Raymond Groarke, heard that Roisin’s parents had complained to the caretaker about the window, which was four feet wide and almost seven feet high, and was only 21 inches off the floor. Mr Fitzgerald said the complaint had been that the window was too low to the floor and its bottom part had no security mechanism. The court heard Roisin’s parents had tried to block it temporarily with furniture but had opened it on the day to ventilate the apartment. Roisin was thought to have fallen out of the window when she was chasing a ball. Counsel told Judge Groarke that liability was an issue in the case and following a Personal Injuries Board assessment, the defendant had made a €46,000 damages settlement offer. Judge Groarke heard that Roisin had made a full recovery but her wounds had left a scar on her forehead. Approving the offer, he said Roisin’s accident had been very frightening. “One has to be very grateful that she has made a full recovery,” the judge said. Email “Girl who fell out of "faulty" window awarded €46,000 damages”. Feedback on “Girl who fell out of "faulty" window awarded €46,000 damages”.